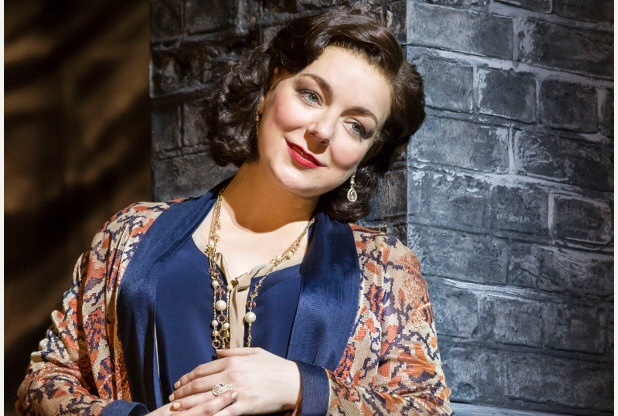 Is Sheridan Smith As Good As They Say? 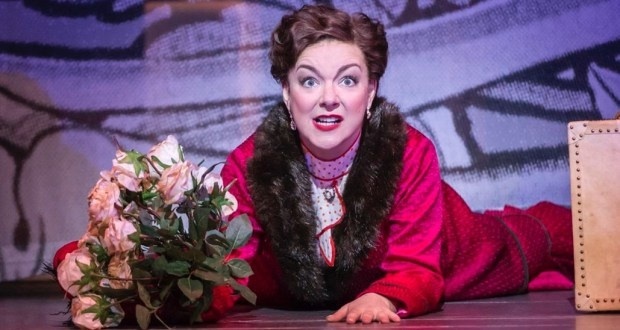 There's been a buzz surrounding this tour of Funny Girl since Sheridan Smith confirmed she would be reprising the role that won her acclaim in the West End. Well before the show reached Birmingham Hippodrome for a week from May 8, it had sold out with many eager in anticipation to see if Smith has the same star quality that catapulted Barbra Streisand to fame after starring in this role as Fanny Brice. It's a well produced musical, directed by Michael Mayer, that charts the real-life rise of comical American theatre and Zeigfield Follies star Fanny in the early 1900's. There's love, laughs but also bittersweet memories along this sentimental journey. The musical's first act sets off at a roaring pace and is much funnier than the Streisand film of the same name. That's partly due to the character acting by Smith. She has the audience in the palm of her hands from the get-go and keeps a tight hold right through to the standing ovation at the end. There's a zesty, bright feel to Act One that reflects the hopes and dreams of a young Fanny with a wanderlust for the stage. Smith is rarely off stage and impresses through big numbers like I'm The Greatest Star, People and the thrilling finale before the interval of Don't Rain On My Parade. Although her voice isn't anywhere near the calibre of Streisand's, it is strong. It's not sensational mind - but the singing's not her forte, the acting is. She charms the crowd, completely embracing the quirky, lovable, quick-witted heroine and, at times, even seems moved by the rousing cheers of appreciation from the audience. Smith's also got a warm rapport on stage with her acting colleagues. It feels like there's genuine family sentiment between Fanny, her mother and her two elderly friends, played wonderfully by Rachel Izen, Zoe Ann Bown and Myra Sands. Providing the love interest of dashing gambler Nick Arnstein is Darius Campbell, at one-time known as reality star and pop singer Darius. 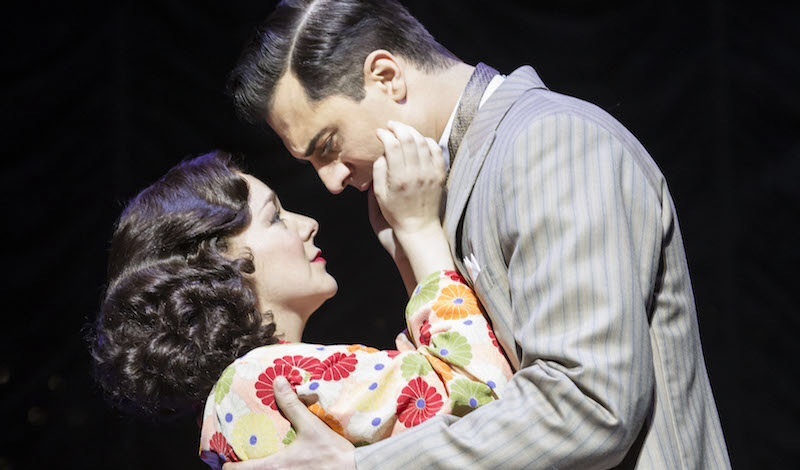 He's actually very well cast and plays Nick with a debonair touch and honeyed singing voice. 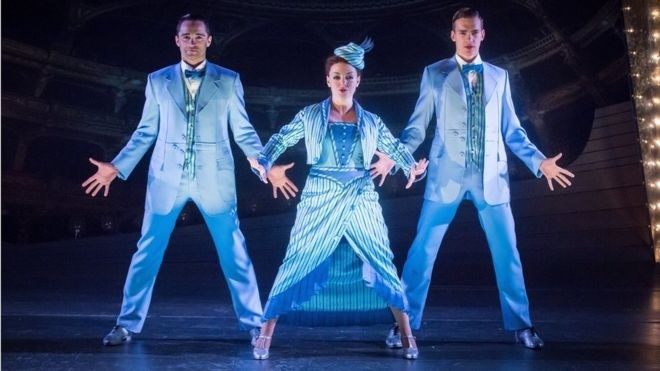 Joshua Lay as besotted Eddie is a dark horse too, especially when he shows off his excellent tap dancing skills. Darius Campbell stars as love interest Nick. Adding to the atmosphere of the story is the cleverly designed set that uses simple effects to create grandeur. Reflective sides of the stage allow for characters' presence to be felt even if they aren't part of the action or song. There are also decadent fittings and furnishings that create a backdrop for dressing room arguments, romantic liaisons in hotel rooms, the thrill of performing to a full theatre and a train station for the iconic song Don't Rain on My Parade. Ultimately though, the staging and support cast all pale in comparison when it comes to the star of the show. Smith simply scintillates. One thing is for sure, Sheridan Smith is an actress at the top of her game and the audience loves her. Sheridan Smith is just brilliant isn't she.